Waste styrofoam compactor play a key role in helping to deal with white pollution problems, and at the same time bring a choice to friends who want to start a business. To make the waste styrofoam compactor work at its best, it must be made of waste plastics. Granulator maintenance, here to bring you some common sense, I hope to help. 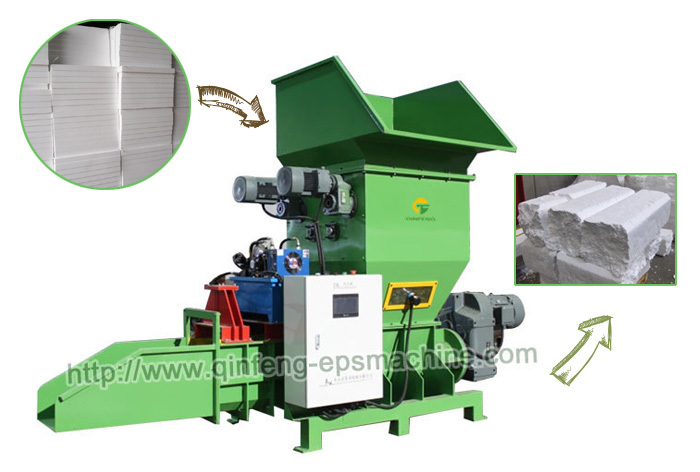 The waste styrofoam compactor is also composed of various components. Before installation, it is necessary to inspect the various equipment components, including steel structure, bearings, bolts, etc., and at the same time, whether the surface condition of the parts has been preserved, etc. Record for future reference. When the waste styrofoam compactor is in normal operation, it must be carried out according to the rules and regulations and carry out daily and regular maintenance. The machinery and equipment shall be repaired and repaired several times within the specified time to clean, lubricate, adjust, disassemble and overhaul. For the center content. Daily maintenance is mainly responsible for cleaning, fastening, lubrication, adjustment, and anti-corrosion. It is recommended that daily maintenance be carried out every day. Equipment overhaul means that the damage of this equipment has been serious or the damage is very serious, and the mechanical performance is obviously degraded. At this time, it is overhauled, such as the mechanical performance of the machine is significantly reduced, the fuel consumption is increased, the operation is not good, the sound is abnormal or the equipment Under the condition that the normal production performance can not be used, a comprehensive and thorough recovery repair method is adopted. At this time, the overhaul should be carried out according to the regulations, and the progress of the work should be arranged at the same time. In the process of overhaul, there will be the possibility of scrapping, and the maintenance professional will be responsible for the implementation. There must be records and acceptance. For equipment that exceeds and is close to the end of life, a certificate of overhaul acceptance should be provided before installation, and a record of scrapping should be made at the same time.